VIPERS BUGLOSS seeds (echium vulgare) from Wildflowers UK. Viper’s Bugloss -echium vulgare – grows very well on dry sandy soils or those containing chalk or limestone. However it is very adaptable to other soil types including clays and loams. Viper’s Bugloss makes a colourful and striking addition to a sunny garden flower border, where plants will be alive with butterflies and bees throughout summer. It can also attract the Painted Lady as a breeding butterfly which will lay its’ eggs on the plant. 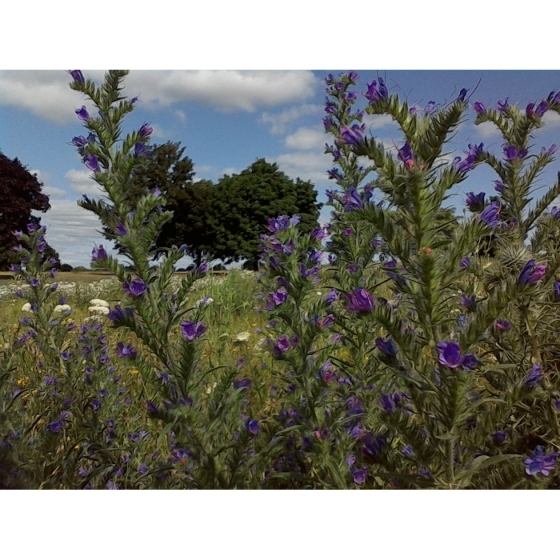 Vipers Bugloss produces spikes of brilliant blue, showy flowers in June, July and August. It looks best growing with other native plants that flower in mid summer such as Oxeye daisies, Meadow Cranesbills, Knapweeds, Scabious, and Mallows. 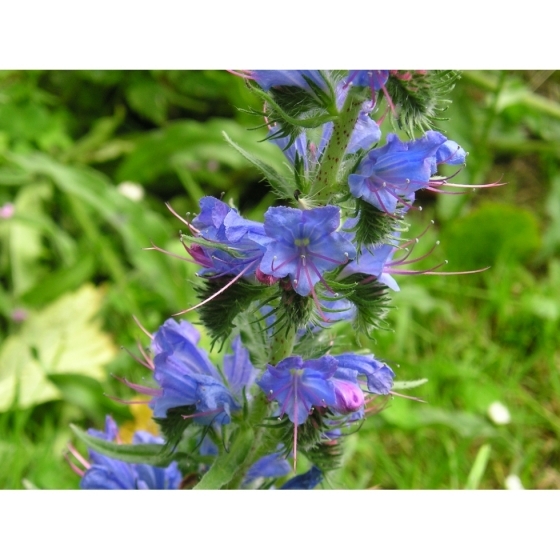 Viper’s Bugloss seeds should be sown in autumn, outside where they are to flower, and covered lightly with soil. 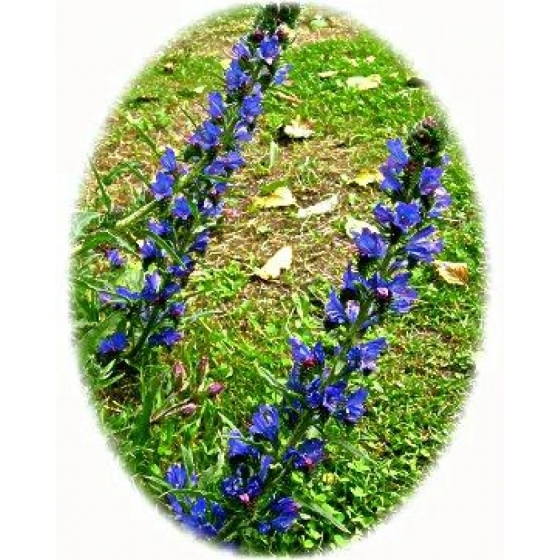 To purchase Viper’s Bugloss seeds, please select a quantity above and click add to cart. To ensure the best chance of success, we sell all of our wildflower seeds by weight, which ensures each wildflower seed packet contains a good quantity of seeds. 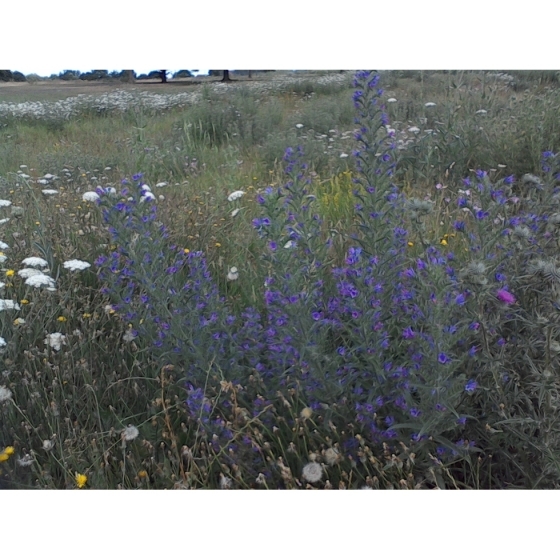 The recommended sowing rate is 1 gram per square metre, and the number of Viper’s Bugloss seeds per gram is approx. 230. All of our Wildflower seed packets contain seeds of Native British provenance.